I did a little nursery hopping with John in North County yesterday. Inland North County is still in large part avocado country, and in fact they call that stretch of I-15 the “Avocado Highway.” And mixed in with the avocados are various plant nurseries, some wholesale, some open to the public. The first of two stops was Las Pilitas Nursery, a large cleared lot surrounded by sycamores, the southern outpost in Escondido of a larger concern up in San Luis Obispo. Most garden centers you go to seem to be packed with easy-to-grow stuff in bloom, plants that whore themselves at you with seductive blooms and intoxicating scents. If you head to Las Pilitas expecting that kind of experience, you’ll be seriously let down, particularly in off-season. A lot of the plants this trip were on the smaller side since it was still later winter and their stock was living outdoors, not in a greenhouse. And the place isn’t not afraid to have big blocks of dormant things mixed in with the other stock. Some of the dormant things are leafless pots of scrappy looking twigs. Other dormant pots just look like pots of dirt where the twigs have died back entirely. Okay…..so you do have to take it a bit on faith that you’re really buying a plant and not some nice potting mix. But stick the root mass in the ground and you’ll hopefully have a plant before you know it. Think of it like you’re planting bulbs. And the plants in their inventory themselves live up to different expectations. Most natives aren’t the high-strung prima donna garden plants at the garden centers. Some take their cues from the dry summers and go dormant in when it’s hot. Other are winter-deciduous. These are plants you take with all their characteristics, and you’d probably not want to put them where you’d expect to have lush foliage and flowers all year round. But there are lots of things that look respectable year-round, along with a few that really are pretty extravagant all the time. I ended up with a pot of dormant twigs–Spiraea douglasii (western spiraea)–three Heucera maxima (island alum root), and one Carpenteria californica (bush anenome). The other stop on the trip was Buena Creek Gardens, in San Marcos, a totally different sort of experience. Located on several acres that have been planted like a small botanical garden, the feel of the place is calm and playful, lush and relaxed, where Las Pilitas was more serious and matter-of-fact. This is one of their demonstration gardens, with some blooming iris and alstromeria, with a cordyline in the background. Connecting a couple of their demonstration gardens is this path through a bamboo thicket. …and in bloom over one of their sales area was this Prunus species, a Taiwanese flowering cherry, I think she called it. The original plant was a shrub, not a tree. So the cool flowering cherry plant was grafted onto a tree to give this great effect. Unfortunately the picture doesn’t do the plant justice. Some of the cool plants in the ground were available for sale, but, darn!, many were not. Still we came home with six or so more plants. Sometimes it’s pretty hard to resist some splashy plants, even if you’re trying to go with a greater proportion of natives. Okay, plants. You’ve been in the ground for at least six hours. Isn’t that enough time for the yard to look just like the demonstration gardens? I’ve been rereading The Poetics of Gardens, a wonderful, witty, thoughtful book by architect Charles Moore, landscape architect William Turnbull and theorist William J. Mitchell. In two places it references Igor Stravinsky’s Poetics of Music, in which Stravinsky argues that sounds can’t be considered to be music until a human mind has organized them. (John Cage, of course, would argue you blue if you said that to him…) Extending Stravinsky’s argument, Moore and friends argue that a space can’t be considered to be a proper garden until it’s been shaped by human actions. The situation at the Mojave Phonebooth brings their argument to mind. The Mojave National Preserve purports to set aside a piece of nature for the enjoyment of the general population in a way that mirrors the mission of the Yosemites and Yellowstones of the world. One of the main reasons that we go to these places is to commune with the wonders and pleasures of the world beyond our garden walls and city gates. We go to commune with nature. But the very names many of these places gives away the real situation, with many of them called “national parks” or “state parks” or “regional parks.” And parks–think of New York’s Central Park–raise expectations of spaces under human control. The removal of the phonebooth was just an obvious symptom of this control, a control that goes througout the natural system, from the construction of roads and visitor facilities to restricting what kinds of activities a person can do in a certain place. Humans are now positioned so that they could exert obvious control anywhere on earth. The Amazon’s getting slashed and burned and there’s comfy year-round housing on the South Pole. And what’ not under control now could be with varying amounts of effort. I’m in some ways a gullible Romantic and I work hard to guard that precious naiveté, but–as much as I hate to admit it–this “nature” thing is now an artificial distinction. I won’t try to answer the “when did nature end” question, but something’s that interested me is looking at the controls that ended it. It’s been said in various places that one of the methods of controlling something is to name it–Just think of how many mountains bear the names of people that have had political power and abilities to control people and landscapes. A distinct form of naming features is where features in the landscape are given bear names based on their supposed human characteristics. Over the years I’ve been noticing places that have names like “Indian Head” or “Kissing Rocks.” The place that made me really stand up and take notice (and stimulate my gag reflex) was Chiricahua National Monument, in extreme southeastern Arizona, when I first visited it in the early 90s. Here, a 1930s trail goes through an area known as the “Heart of Rocks,” where there’s a concentration of features 10-30 feet tall bearing plaques labeling them in all sorts of distinctly human terms, using names drawn from a hodgepodge of cultural referents. This is where I saw Kissing Rocks, two just-touching formations with lip-like protrusions. Then there’s “Punch and Judy Rock,” and “Totem Pole,” and “Thor’s Hammer.” Mixed in with these, “Big Balanced Rock,” “Camel,” and “Mushroom Rock” seemed much more benign. I returned to Chiricahua last Spring and decided that it would be and interesting project to document some of these formations. On the way up the mountain I was explaining what I was doing to a Park Service ranger. Of all the formations, one of the ones that she’d had the most negative reactions to was “Old Maid.” And, down the mountain a ways, be sure to check out “China Boy,” she suggested. Then there’s a whole mountaintop easily viewable from the parking lot at the top of the mountain that’s labeled “Cochise Head,” a questionable homage to Cochise, who held up for several years in these mountains before he was captured. So why all these names? Sure, someone was having some fun with it all, but I’m interested in the questions bubbling below the surface. Are humans so scared of or alienated by “nature” that they have to project human traits on it to be able to begin to deal with it? Are we so blind to natural processes and geology that we can only understand it on our terms? Is naming something the beginning of a long chain of controlling actions that ultimately leads to its destruction? This is the plant in the front yard. It’s now mounding something like 6 feet tall and maybe 8 wide, and covered with these tall spires of coral-orange-red flowers. You can easily forget that there are other things blooming. Like other aloes, it originates in Southern Africa, if not South Africa proper. It left a Mediterranean climate similar to California’s, and thrives on the warm, dry summers and cool, moister winters. Some summers it endures more than a month with no supplemental water, and it’d survive just fine if it didn’t get half of how much it gets. But like many things it responds to a little coaxing, and with a little water looks a little less feral. There’s a definite hierarchy among some ecologically-concerned though a little purist gardeners. Fake English country gardens that in the desert that is California require lots of water and are filled with overfed disposable plants blooming themselves to death are near the dregs of the dregs at the bottom of the list. Drought-tolerant landscaping rises lots higher. 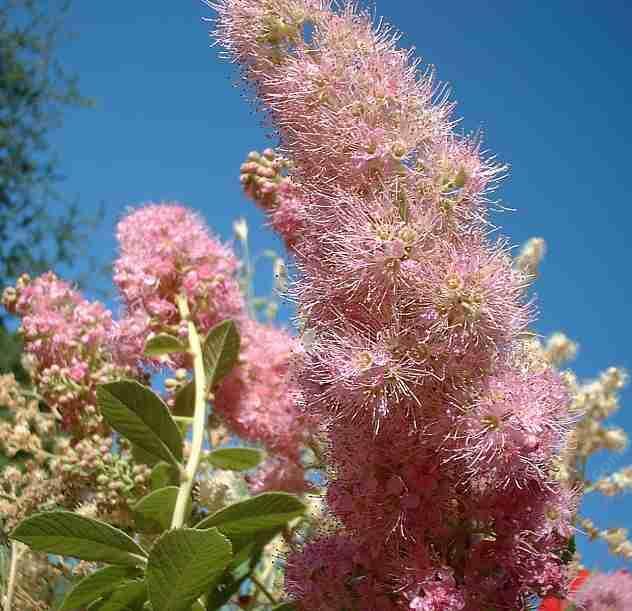 And in the highest regard are the drought-tolerant gardens that rely solely on native plants. So this aloe is a middle-of-the-road choice in social consciousness. If it were human it’d probably drive a Subaru and vote for fairly progressive causes, though it might be caught throwing recyclables out with the landfill trash or listening to Howard Stern. It’s interesting that a plant can have been in cultivation here for a century or more and still be considered an exotic species. Human ancestors that might have brought the plant with them would now be long-gone, though their progeny could be considered native to wherever they were born. Biology, though, has a much longer memory, and with good reason. Some of these species brought over from other places could take over the biota, just like the human exotics have pretty much displaced the native populations that were here before them. Those of us who aren’t Native Americans are the human kudzus, the human tamarisks, the human tumbleweeds–opportunistic colonizers of a benign new prospect. Some of these other garden plants could well go on to be the scourge of the continent. But in the end the plants and the immigrants all share the basic will to survive–survive first and ask moral questions later if at all. Fortunately, this aloes seems content in its place as it gets bigger, and bigger, and bigger, shading its competitors and smothering smaller plants around it. Sure is pretty though, eh? My second trip to the Mojave Phonebooth was a few years later when I was leading a photography trip for some fellow photography geeks with the local Sierra Club chapter. My trips are often a little offbeat, particularly for people wanting to pad their portfolios with more photos of rocks and sunsets. (Don’t get me wrong–I still have a weakness for “nature photography” or whatever you call this West Coast, Weston- and Adams- and Porter-influenced way of seeing the world.) The people on this trip were a tad puzzled by my insisting that we visit this phonebooth in the middle of Cima Dome, but I promised them it’d be an interesting detour. By this point the phonebooth had acquired an international following. I won’t repeat all the details, but through the efforts of a certain Godfrey Daniels, who called and called the phone until he got through to a human being, who logged all his attempts, and who detailed his craziness on the web, the phonebooth began to get a certain reputation for weirdness. People from all over started to make calls to this lost phonebooth, and people would go there to answer them. And then Europe found out. What better thing to represent a romantic European notion of the American West than a lone phonebooth, miles from anything, set in the middle of the desert with j-trees all around it? My group finally made it there, but we weren’t the only ones that day. A DJ from a Florida radio station was there in a low, battered sedan with “Mojave Phonebooth or bust” signs all over it. He’d been camping out there, taking calls from listeners, and he was looking a little battered himself. In a more deluxe rented SUV was another group of people which consisted of a German film crew and an opera singer. Apparently the opera singer had made a certain reputation for himself by singing arias while standing in the phone booth. Maybe while waiting for La Scala to call him. We weren’t there long before the phone rang and continued to ring. People from Texas, Florida, Italy, Germany, all over. We didn’t hear the opera singer sing, though the crew got some shots of him standing at the phone, answering a call. Then the film crew turned their attention to my group. Richard got some questions, then someone else, then me. What was I doing here? How did I hear about the phonebooth? Who was in my group? I had no idea if these people were the equivalent of the major American networks, some little cable outfit, or some precursor to Youtube. But what the hell, I’ve been on European television! Postscript: All this was in the late 1990s, after the Mojave National Preserve came into being officially. The thought of having something so antithetical the mission of a natural preserve rubbed the National Park Service the wrong way, and with the collusion of SBC Pacific Bell (now AT&T) the phone was removed and the phone number ((619) 733-9969) retired forever. While the Mojave Phonebooth was definitely an unnatural feature in the landscape, it was no worse than golf courses in Yosemite or mega-lodges in Yellowstone. But through their greater wisdom the NPS saw it fit to kill off this piece of wacked Americana. So that’s one less thing out in the wilds to makes roaming the deserts such an interesting thing to do. The Park Service’s action hasn’t ended the weird romance of the phonebooth, however. A film produced in 2006, Mojave Phone Booth, played the festival circuit in 2006 and 2007 and gathered a number of awards. We were up at John’s aunt’s place in Northridge for the holidays. That area of Los Angeles is in one of the wind tunnel zones of the San Fernando Valley. When the Santa Ana winds are on the way, you know it. We arrived on the 23rd, when it was somewhere between breezy and blustery. By the next morning things had died down, but the forecast was for more extreme winds. Around 3 they kicked up in earnest, and for two hours they proceeded to shake the house and lay low the landscaping outside. And then they stopped. The sound of chainsaws started up before long, and John went to investigate. One of the tress that had been a fixture in the neighborhood had taken a hit, probably a victim of shallow watering for a lawn that doesn’t encourage deep rooting. All the trees I read about in the papers–including one that just missed taking out the oldest building in Hollywood–were pines, many of them probably pet christmas trees that got too large or too asymmetrical for the house. When we got home I took this picture off the roof deck. My neighborhood, along with many others in town, has a number of pines, including the very Christmas-tree looking Norfolk Island pines. I love big, splashy plants as much as the next person, but there’s a plant that I’ve got a special attachment to that’s neither big nor splashy. The green rose, Rosa chinensis viridiflora, lives up to its name. 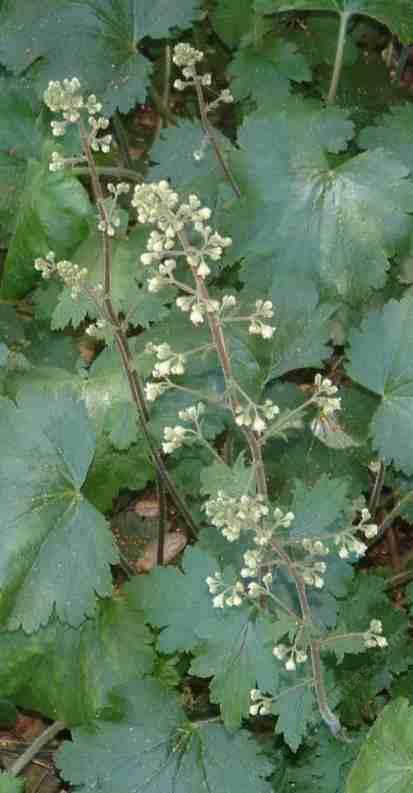 When the “flowers” open, what’s inside the protective sepals is certainly green. But there are no rose petals in sight. The blossom just keeps on opening, revealing more and more sepals, all of them green in color, sometimes tinged with a reddish cinnamon color. Inside a typical rose, once the sepals unfurl and the petals open, you finally get to the pistils and stamens, the reproductive parts that enable sexual reproduction and perpetuation of the species. But this plant lacks them too, just like it lacks petals. If this plant were to turn up in nature, it’d go extinct once the single plant passed on. Its history is a little fuzzy, though it was for sure introduced to the rose-growing world in 1856 by Bembridge and Harrison in England. In The history of the rose by Roy E. Shepperd, the author notes that the plant has been in cultivation since 1743, which for a plant with no hopes of reproduction by seeds is quite a feat. Through the years, people have found something about this plant interesting enough to start cuttings or make grafts onto rootstock or wholesale dig up the plant and take it along with them when they move. I was a rose geek in my early teen years, growing and exhibiting roses around the Los Angeles area. At one point I had something over a hundred roses, including this one. I moved down to San Diego, and by the later 1980s finally had a house with room for plants. My parents were moving out of the homestead, and for some reason I felt the need to rescue this one rose from an uncertain future. Of all the roses, I dug up this one and moved only this one. Reading through some of the posts on this rose at davesgarden.com–including someone who moved her great grandmother’s plant–I’m not the only with an attachment to it. And somehow, through the kindness of strangers smitten with this wonderfully weird plant, the green rose has stayed in cultivation for something like 264 years. Lovely, eh? She’s definitely great company in the house or when we’re outside gardening. But being a cat, she’ll be around one minute and off doing something else the next, only to reappear when you least expect it. Something like bulbs in the garden. You plant the bulbs in the ground, add some water, and practically forget about them. Then when they’re ready, they emerge and bloom for a few days or a few weeks. Then they’re not there anymore, long before you get tired of them. I was at the day job, prepping for a meeting, when John IMs me from home. Do you want me to plant the pansies? Innocent enough question, eh? The day before I’d bought 4 sixpacks of them, little white vanilla numbers that I thought would be good temporary fill at the front of the new planting bed until I could decide what else to plant and until what I’d planted could begin to fill in. They’d been sitting in the sun and getting them in the ground would have been a good thing. So I said sure, go ahead. When I got home they were in the ground, not exactly where I’d envisioned them, but attractive. John said something about how 4 sixpacks didn’t go very far in the big new bed and how he’d always wanted to do one of those color-zone plantings. Big swaths of one color next to big swaths of another. Something big, splashy and commercial. I groaned a noise that to him must have sounded like agreement. The next day I get another IM at work. He’s bought more. Lots more. He’d forgotten how many plants he’d put in the previous day, so he got a quantity that he thought was how much he’d already put in. Instead it ended up being 12 more sixpacks. That goes a lot further than just 24 plants! So there’s the bed full of the original plain white pansies, new dark maroon-purple ones, and another area of new white ones with purple faces. Pansies can be okay fillers up close, but spread throughout a garden uniformly between larger plants they begin to look like……….well, ever been to the landfill on a windy day? Little paper scraps blowing everywhere? Yeah, that was my first impression. Note to myself: Breath. Let go. Stop feeling like you need to make all the aesthetic decisions. Give it time. They may look perfectly fine when they grow up in a couple months. A garden is always a collaboration, whether it’s just you and the plants or there are others involved. There’s an old family photo that I think about every now and then. My sister and I are seated at a viewpoint overlooking the lower falls on the Yellowstone River. My sister is staring into the camera and at my mother who took all these early family pictures. And next to her is me, staring not at the camera but over the railing at something off to the side, not the main attraction of the falls, but something else–maybe the gorge, maybe the river, maybe the clouds and sky and weather. Lost in the landscape. For me gardens can be wonderful little mementos of the larger landscape. Surround me with interesting plants and their interesting colors and textures, and you’ll stand a chance of losing me in it. But I’m also interested that these patches and pots of earth are totally faked versions of what lies beyond the garden gates and city walls. There’s always a human hand in the garden, and I’m interested in what the garden reveals about the person planning, planting and tending the garden. 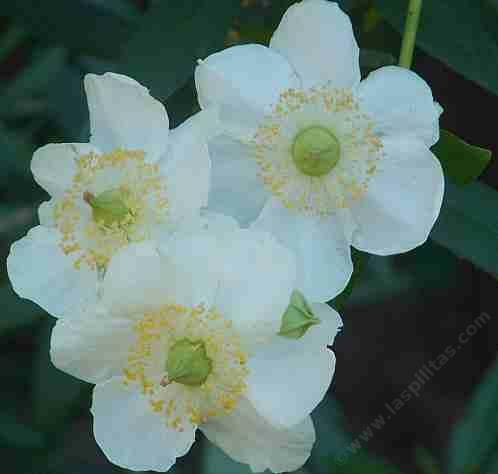 And I have lots of other interests that I expect will end up here–art, photography, design, music, politics, science, stuff in the news–and so I expect these notes will ramble a bit, something like an old Lady Banks rose growing in many directions from its rootstock. Since the rambles and brambles grow from the same rootstock, though, I expect they’ll have something in common. I guess all that’s a bit of a manifesto. I don’t want to lay down too many rules, though, because the world is such an interesting place, even if that world is a small patch of garden with herbs for the kitchen or a tiny re-creation of the cosmos in a flowerpot on someone’s apartment windowsill. And so, off we go!